Ive done this 3 times and im not gonna move the car till tomorrow and let the car sit overnight if thats gonna make a difference, if not im gonna put everything back the way it was. OK. Linny just PM'd me. His had been working fine until he headed out of town for Thanksgiving. All of his trips prior had been short (<6 miles). About 15 minutes into his trip the light came on. So, it looks like this solution does not work - It looks like the third component is time. Looked into it a bit more. The TPMS starts a timer once it receives power. After ~15 minutes of power and no comm from the sensors it turns the light on. I am now experimenting with just using the brown wire, which is the output to the combination meter. To turn the light off, the TPWS module supplies ~4.0V to the brown wire. At 2.4V or less the light will come on. I disconnected the TPWS and applied ~4.0 V to the brown wire (via a resistor voltage divider from the 12V supply on the connector). The light does not light. I will drive around for a week or so to make sure that eliminating the module doesn't cause a DTC to be thrown. OK. I've been driving around today with the TPWS disconnected as above, and no TPWS light. We are going out to dinner tonight, and where we are going is about 35 minutes away, so that will be a good test. If the light remains off and I still don't have any DTCs logged, when I get home tonight I'll post the updated method. Sweet, thanxs for the update, were all waiting to see how it goes. damn , so this doesn't work ???? good thing I didnt go cutting wires . Im just gonna have my sensors installed on my racingharts when I get them powder coated . This procedure requires some minor soldering and can be done with or without a switch to re-enable the TPWS. 1. Make a simple voltage divider to provide ~4 Volts to the TPWS light input to the Combination meter. a. Solder three 150 ohm resistors end to end. 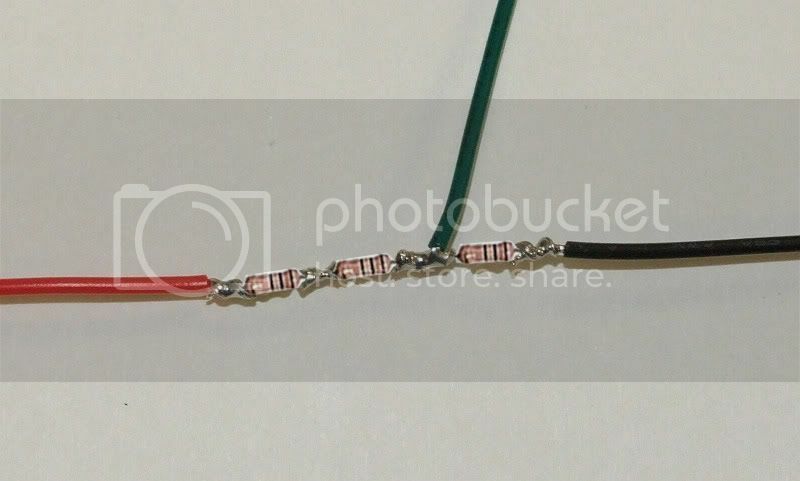 b. Solder a 6" piece of black wire to one end and a 6" piece of red wire to the opposite end of the string of resistors. c. Solder a 6" piece of green wire between the first and second resistor from the black wire end. d. Cover the resistors with heat shrink tubing or electrical tape. e. Skip to step 2 if not adding a switch. g. Solder a 6" piece of blue wire to one of the end terminals of the switch. h. Solder the free end of the green wire to the other end terminal of the switch. i. Cover the exposed switch terminals with heat shrink tubing or electrical tape. 6. 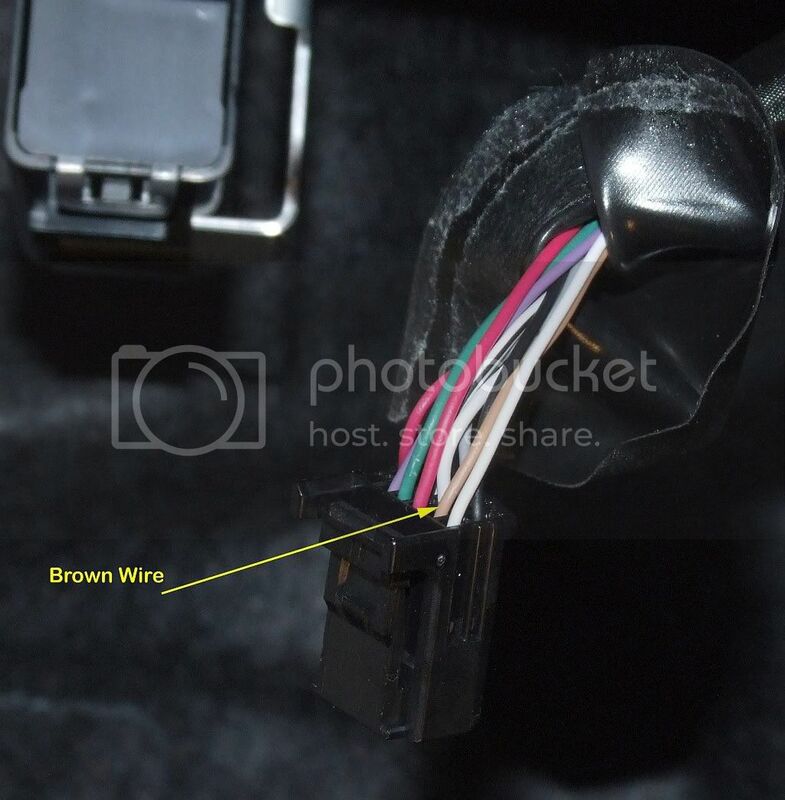 If not using a switch, connect the green wire to the brown wire which goes to the combination meter (not the connector end of the cut wire). 7. If using the switch, connect the blue wire to the brown wire which goes to the combination meter (not the connector end of the cut wire). 8. 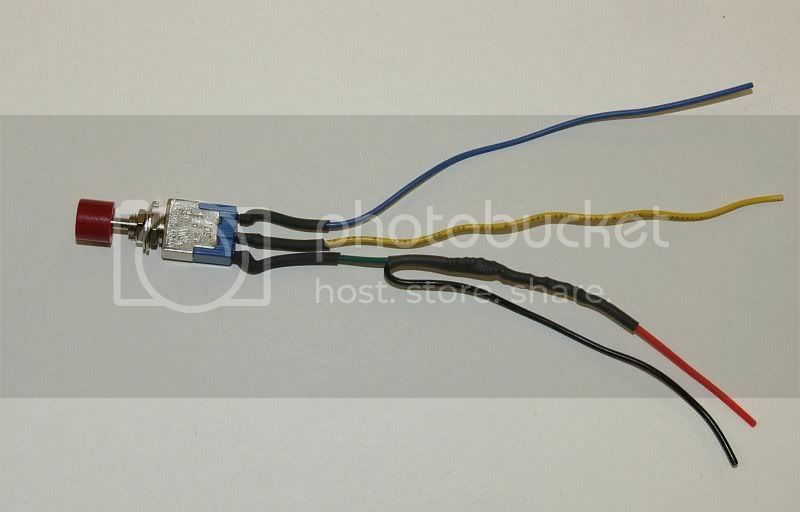 If using the switch, connect the yellow wire to the other end of the brown wire, which is attached to the connector. 9. 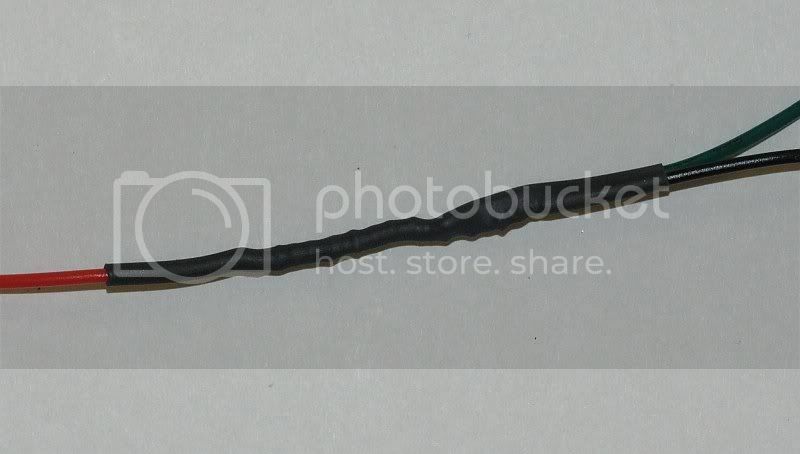 If not using the switch, leave the TPWS connector off. If using the switch, plug the connector into the TPWS. 10. Turn on the ignition. If not using the switch, the TPWS light should be off. 11. If using the switch and the TPWS light is on, press the switch and the light should turn off. interesting... One thing I am curious about, what kind of signal do the sensors give out? Is it just a binary "too low/good" signal or an actual value representing the pressure for each wheel? If it's the second case, it would be quite cool to hack those signals into an actual per-wheel pressure display! Thank you for putting so much effort into this modification CTSCOTT. I will make a trip to Radio Shack when they open this morning! I realize that this solution is a bit more work than the original cut two wires one, so if anyone needs to do this and doesn't have the equipment, etc. to solder it up, I can make it up and ship it as a nice little kit. 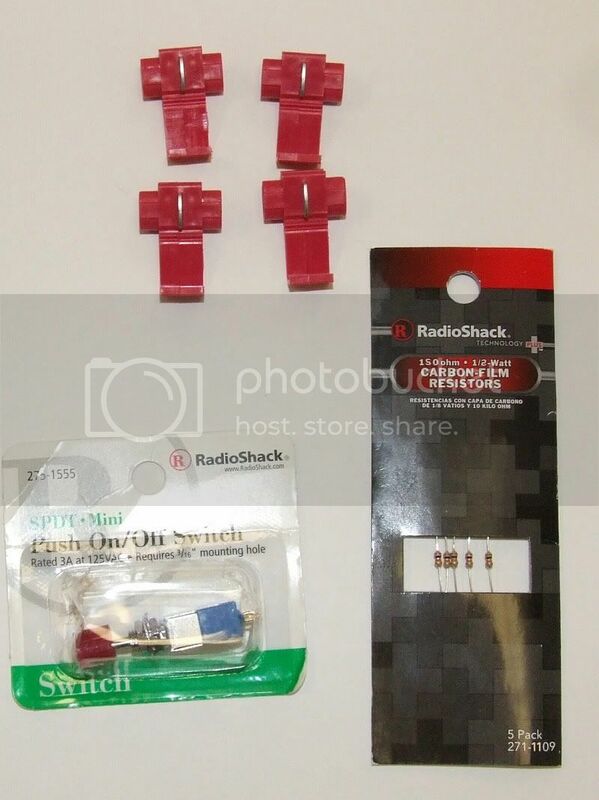 Thanks for all the work CTSCOTT I just got back from Radio Shack with all the items. I hope that this time it all works. Yes , you got it too work , thats great ! Thanks for doing the research/testing for this fix . I'll be doing this within the next couple days , im so over that damn light in the dash. Please look at the directons on page 3. Based on feedback of mixed results, I changed the resistor value as the original value was causing a valtage drop that put it on the edge, where it would work on some cars and not on others. I tried doin it on Sunday but the problem I had was that when I hit the button the light would start flashing the it would come on then I hit the button again and the same thing it would just flash for a few minutes and then stay on again. 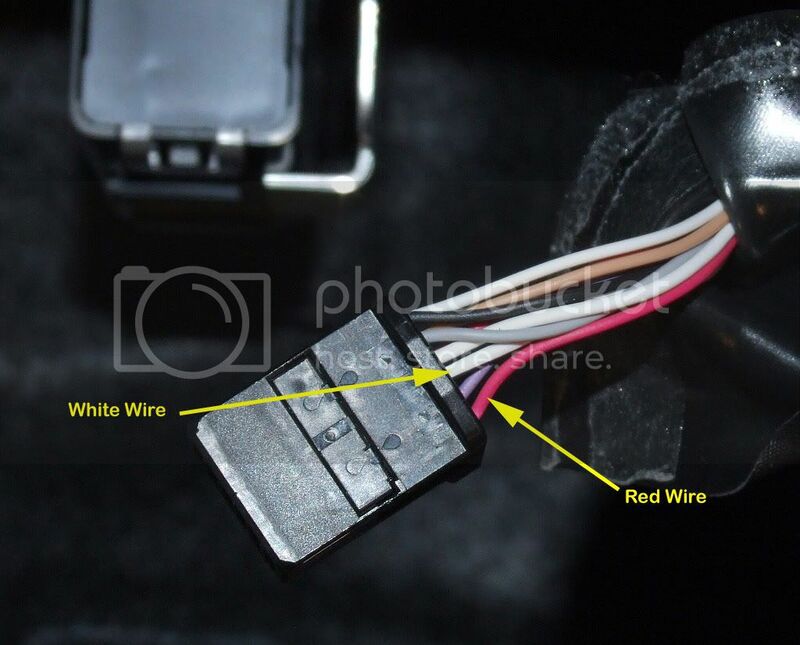 I dont know if this makes a difference but i Dont have a brown cable on mine I have a white with a black stripe were that brown one is on your write up. Any suggetions. thanks for all your help.